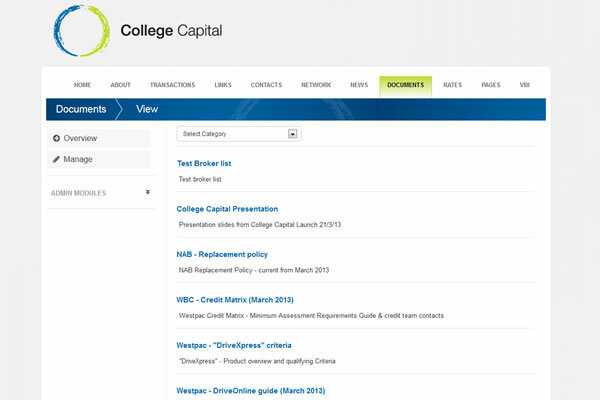 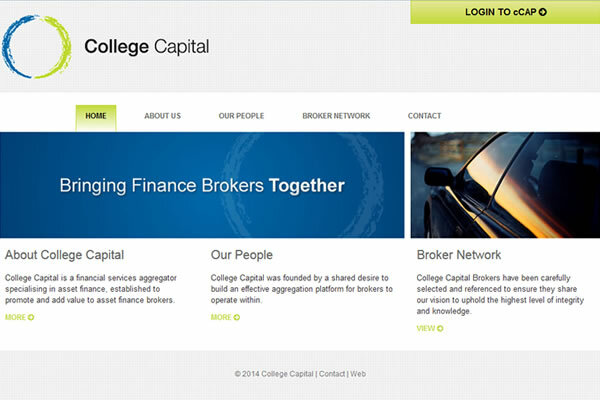 College Capital is a financial services aggregator specialising in asset finance, established to promote and add value to asset finance brokers. 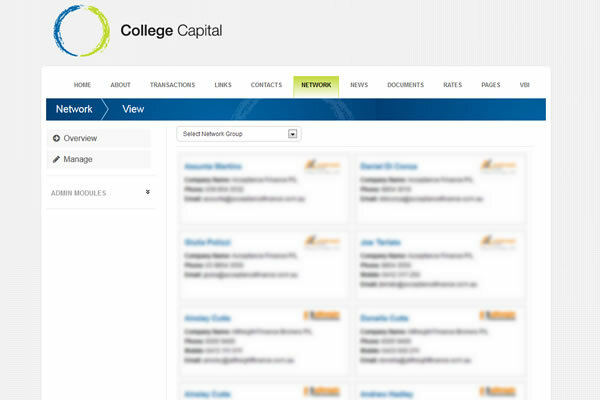 We developed a custom built web solution for use by the group and its members to view and manage transactions, documents, the broker network, contacts, links, reports, rates and news. 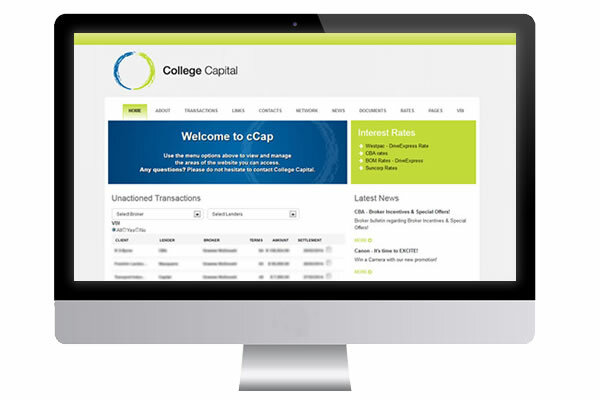 From the home page they can manage unactioned transactions.